If you’re like most business owners, you’re probably using an integrated approach to your digital marketing efforts. Maybe Google and Facebook ad campaigns combined with social media posts across numerous platforms? Sprinkle a little bit of SEO and email marketing on top and you’ve got a fully baked digital marketing cake. But do your efforts always feel cohesive? Far too often these tactics don’t talk to each other. They’re disconnected, out of sync, and not as effective as they could be. The good news is a remedy doesn’t have to be complicated. You can combine your social media and email marketing efforts into a strategy that attracts, engages, and nurtures qualified leads into a system you control. This article will break down an approach to using social media and email marketing in sync to build a lead-generation machine. Despite getting savvier about it, many businesses fall into the “going all in on social media” mouse trap. Did you know you’re basically renting your social media profiles? The social media company owns your account, you don’t. That means they own your followers and your ability to reach those followers. In fact, the most popular platforms change the way your posts are seen — and to whom and how often — on a whim. And they change their algorithms quite frequently. Furthermore, social media giants like Facebook can be rather ham-fisted when trying to determine who is a bot, a spammer, or a perpetrator of fake news. Innocent people and businesses have had their accounts and profiles temporarily, and in some cases, permanently suspended. If this happens to you, you can say ‘goodbye’ to all of your contacts, followers, fans, and months of hard work — in the blink of an eye. This is an extreme example, granted, but it’s certainly food for thought. Why build an asset on someone else’s land? I’m not saying you should throw social media out with the bath water. Building a following, and having a robust presence on social media is still a requirement if you wish to run a credible business in the digital age. Your social media accounts humanize your brand, give your fans and customers a way to connect with you, and are an excellent means for announcing new releases, products, features, and #humblebragging about your reviews and awards. The thing is, you don’t want to keep all of your fans, followers, leads, and contacts on social media. It’s too risky. Instead, it should be your primary goal to take engaged prospects away from social media and onto your email list. How does email fit into your perfect lead-generation machine? Unlike your audience on social media, you control your email list. Once a lead is on your email list you can run them through an email sales funnel, which is perfectly primed to nurture a lead to the final step: the sale. It’s also where you can continue to nurture them to brand loyalty. Return on Investment (ROI). Email is proven time and time again to deliver a more consistent ROI than social media or paid ads. Scalability and automation. If you optimize your email marketing funnel with smart triggers and automation it becomes easy to scale. Email is used worldwide. Not everyone is on every single social network, but nearly everyone does have an email address. Well, at least anyone you are trying to sell to does! Email marketing is also helpful for busy marketers. Think of it as another one of your employees, but this person never gets sick, gets mad, takes a day off, or says they can’t get the job done. 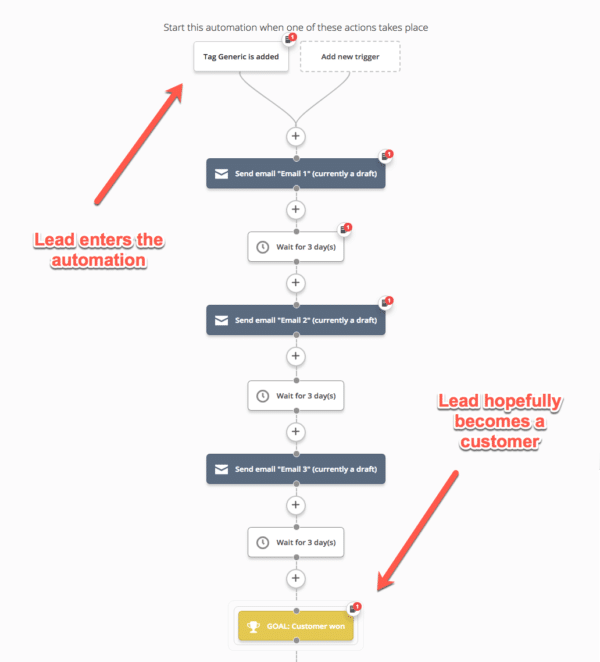 You can automate, optimize, and rely on your email sales funnel to do a job for you. 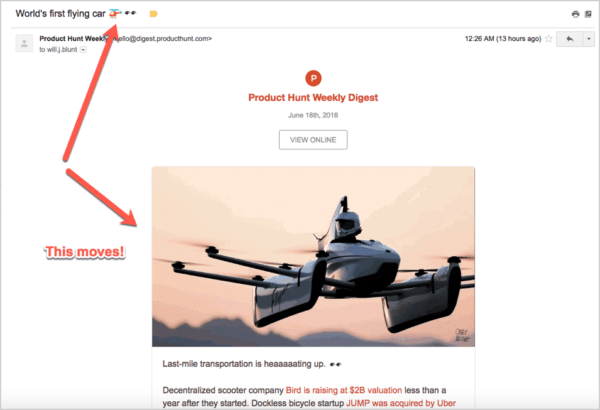 Granted, it will need monitoring and tweaking, but for the most part, you can make dozens of emails and have them pre-scheduled to send out to your list, saving you a lot of time. You can also continue to add people into the funnel as your lead- generation activity becomes more advanced. Example of an email automation sequence. So, how do you combine social media and email marketing to build an audience you own? With contests of course :). Whether you’re talking about Instagram photo contests, Facebook polls and quizzes, or some other type of social media contest, this form of marketing is a proven way to generate attention, buzz, and most importantly, leads for your business. Contests are a powerful form of lead generation because they satisfy our need for instant gratification, increase oxytocin levels by giving away free stuff, and tap into our innate desire to win. But simply running a contest for the sake of it doesn’t serve much of a purpose. You need to ensure you optimize your contest so it takes prospects from social media and turns them into leads in your email database. Make it a requirement for contest participants to enter their email address in order to join the contest and win any prizes. This is perfect for prospects who are already followers of your brand on social media but you want to take them onto a list you own. Being extremely relevant to your ideal prospects with the offer, messaging, and follow up. Tapping into the concept of gamification to deliver an engaging experience for participants. Following up across multiple marketing channels including remarketing ads, email, live chat, and more. Being there to support and nurture the experience in real-time with first-class customer service. When they are executed effectively, contests are fantastic at generating qualified leads. But then what happens? This is where the magic happens. Now it’s time to nurture your new prospects with smart triggers, automation, and engaging email sequences. Double-down on relevancy and personalization. The emails that follow the action a user takes to opt in to your list should all align in terms of their messaging and offer. If you have multiple customer personas, then create multiple email sequences and different offers. Don’t simply bundle everyone into one big pool; you’re better offer having small, super-targeted groups of prospects you can personalize your messaging to. 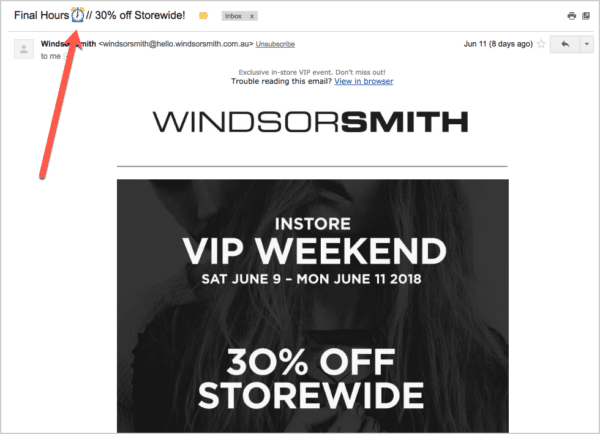 Windsor Smith uses emojis in the subject line of their email. Just make sure your headline is related to the content inside the email. Subscribers don’t want to feel like they’ve taken a bait-and-switch. And make sure you write conversationally, like the person who will read the email is a friend or relative. In other words: avoid sounding artificial or sales-y. Use one primary call-to-action in each email to maximize click-throughs and conversions. The more choice you give a user, the greater the chance they will not do anything at all. Make it easy for them and guide them to a decision. Optimize and improve your email sequences over time. Test headlines, call-to-action text, personalization tags, sending time, and other elements that will help you improve your open and engagement rates over time. As you can see, there are a lot of components that go into a successful social media and email-marketing strategy. If you’re just getting started, try not to get overwhelmed. Set up a basic email automation sequence and start to capture the contact information of leads – take it slow. As time goes by, and you get more comfortable with the technology and opportunities, ramp things up with social media contests and smart trigger campaigns to reap the rewards.